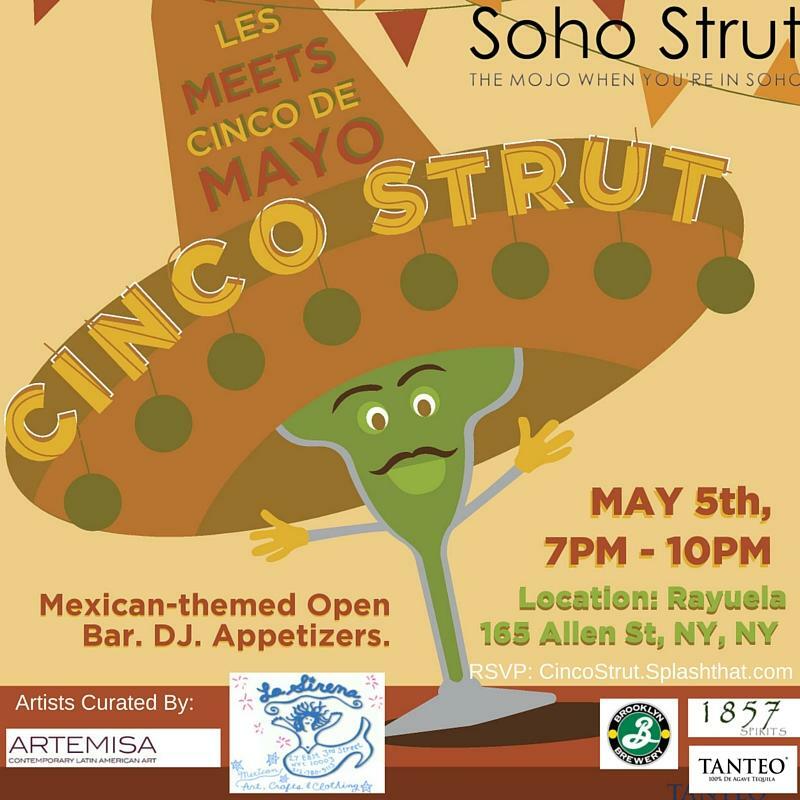 Cinco De Mayo is coming to the Lower East Side! Join us at 165 Allen Street for a Latin American inspired party feauturing 6 Latin American artists, open bar featuring cocktails with Tanteo Tequila & 1857 Spirits, beer from Brooklyn Brewery, Mexican appetizers, and DJ from 7-10PM! Tickets are $25 until April 10th and will go up to $50. and a live DJ set that will have you dancing all night long. Tickets are $50 which includes 3 Hour Open Bar from 7pm until 10pm with cocktails featuring Tanteo Tequila, 1857 Spirits, Brooklyn Brewery beer, and delicious Mexican appetizers.